EVE Online‘s new Into The Abyss expansion launched less than two weeks ago and I’m bloody obsessed with it! 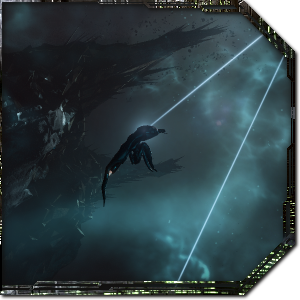 Players have had great success running the first three tiers of the new Abyssal Deadspace sites in tech 2 fitted Heavy Assault Cruisers and there are some spectacular fits out there for dealing the tier four and five sites already. 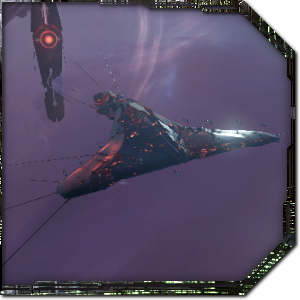 My ship of choice for the Abyss is the Gila, a pirate faction cruiser with a great passive shield tank and a huge 500% bonus to drone hitpoints and damage, and which I’ve used successfully to reliably tackle tier four and five sites. 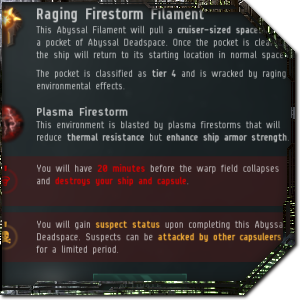 Abyssal deadspace fits are complicated by the fact that four of the filament types have resistance penalties that apply to both your ship and the NPCs inside the site, which has implications for both your tank and the damage types you should use. But how do the resistance penalties actually work, and under what circumstances is it beneficial to switch damage types? I performed a variety of tests on the test server and built a spreadsheet (yeah, you can make the joke now) to answer this exact question and figure out how to tackle top-tier Abyssal Deadspace sites. In this edition of EVE Evolved, I explain exactly how the resistance penalty in Abyssal deadspace works, share my tried and tested Gila fit for high-tier sites, and detail strategies for tackling all of the enemies you’ll encounter. The first thing to note is that the resistance penalty is actually applied using the exact same mechanics as resistance hardeners on your ship, and it’s not stacking penalised with anything. In a site that gives -50% kinetic resistance, for example, the game calculates the resistance that a +50% hardener would give to your ship and then subtracts it rather than adding it. This means that the resistance penalty will always provide the exact same percentage increase in incoming damage from that damage type regardless of your ship fit, though the effect isn’t actually as devastating as the numbers suggest. An abyssal pocket with a -30% penalty to a resistance type will always increase the damage you take from that damage type by 30%, but that’s only 30% of the damage you would normally take without the penalty. A ship with a high starting resistance will be taking very little damage of that type to begin with, so the actual numeric increase in damage per second taken can be very small. The effect on your ship is also limited as the enemies deal a variety of damage types but the penalty affects only one of them, and you can evade some damage types more effectively than others by kiting. In fact, the high resistance penalties in tier 4 and 5 sites can actually be a big benefit to the player instead of a problem. The enemies suffer from the resistance penalties just like a player ship does, so you can get up to an extra 70% effective damage output in the high tier sites just by choosing the right damage type. What does this mean for my fit? The enemies in Abyssal Deadspace do a variety of damage types, but some are more important to mitigate with resistances than others. 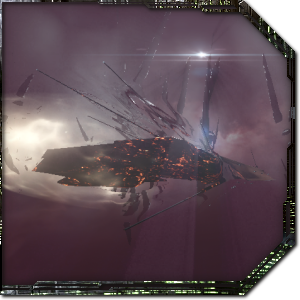 The Drifter ships and many others deal an even mix of all four damage types, but the Triglavian Damavik, Vedmak and Leshak all deal a mix of explosive and thermal damage and are often difficult to avoid taking damage from. Sleepers deal EM and thermal damage with their lasers and a little explosive and kinetic with missiles, and many of the rogue drones deal one specific damage type (for example, Sparklance drones deal EM damage). 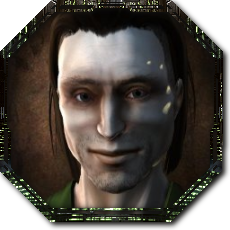 My advice is to aim for maximum average resistance with a strong thermal component and make sure you don’t have a gaping explosive resistance hole that the Triglavians can exploit. Don’t sacrifice too much average resistance to cover the hole caused by the site’s resistance penalty, but be aware of your lowest resistance as it will sometimes influence the order of priority for killing NPCs. Ships that get bonuses to specific damage types should stick with those damage types unless their bonuses are less than the site penalty percentage. The Gila with its 50% bonus to Thermal and Kinetic missiles, for example, should stick to those missile types except when in Tier 4 and 5 sites that can contain pockets with -70% resistance penalties, in which case it should use the same damage type as the site’s resistance penalty. Above is the Gila fit that I’ve been using in Abyssal Deadspace and have seen a tremendous amount of success with. It can blitz Calm, Agitated and Fierce tier filaments in as little as 5 minutes flat, and can usually beat Raging and Chaotic tier filaments of types Gamma and Exotic in 10-15 minutes. Firestorm filaments will take longer than usual due to the armour bonus on all enemy ships, and you should of course steer clear of Dark type filaments as they will make it difficult for your drones to track anything. Switch the thermal amplifier for an EM amplifier when entering Electrical sites, but otherwise keep the thermal one on as the unavoidable damage is slanted more toward thermal. The C3-X ballistic controls are special combined drone and missile damage mods, giving this fit a whopping 858 DPS (370 missile DPS and 487 drone DPS) on my character with excellent damage application. Some players prefer to use Drone Damage Amplifiers as it results in higher drone damage, but you lose a lot of missile DPS and I consider the missiles to be essential to this fit. Drones can take some time to reach a target and slow down to hit them, and in the opening 30 seconds of a filament you need to be able to reliably take out certain strategically important frigates. Navy drones are preferable to tech 2 as they have significantly more hitpoints and can survive being attacked, and you should always switch drone types to match the resistance penalty of the site for maximum damage. The microwarpdrive lets you reliably kite anything (including Damaviks if you overload it) and get in close to battleships to get under their guns, and the Thukker Large Shield Extenders and X-Instinct booster keep your signature radius down while using the microwarpdrive to help evade incoming fire. Your DPS should also be considered part of your tank in the Abyss, as killing an enemy quicker will mitigate its damage across more of the pocket’s duration. I advise buying a deadspace microwarpdrive for the reduced signature radius bloom if you plan to tackle tier 5 sites and keep in mind that this ship may require implants to fit. Players report that an afterburner fit is capable of doing tier 4 sites and is much easier to manage, but I prefer the microwarpdrive fit for its rapid clear speed of low tier sites and ability to do tier 5s. When you land in a pocket, you have about three seconds to orient yourself, see which enemies have spawned, and pick the correct counter-strategy for that setup. Pick a direction in space to move and hit the microwarpdrive as quickly as possible, as you need to ensure certain enemies don’t get in range to activate special abilities such as warp disruptors, and you need to outrange certain enemies to reduce incoming damage. I’ve had a great deal of experience now with the huge variety of random encounters in Abyssal Deadspace, and have come up with strategies for countering them in this Gila fit, which I’ve included below in detailed bios on each enemy type. At some point, you’ll have killed enough enemies that the pocket is now under control and you can tank everything else, at which point you’ll want to head for the loot container and blow it up. Going for the loot before the pocket is under control could get you killed, and waiting until after everything’s dead will waste valuable time. Make sure your launchers are reloaded before heading into the next pocket, and on the higher-tier sites it’s also prudent to wait until your capacitor and shield are both regenerated to above 80%. This fit has so much damage that you will never run up against the timer, so you can afford to spend a minute regenerating. 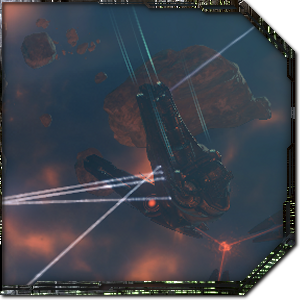 Damavik – Packs of Triglavian Damavik frigates spawn in all tiers, with 1-2 in the low-tier sites and large packs of up to 7 in the top tier encounters. They don’t deal a lot of damage individually but are the fastest enemies in the Abyss, and some of them spawn with special abilities like warp scramblers and webs. Anchoring Damaviks are your absolute top priority as their scrambler will shut off your microwarpdrive, followed by Renewing Damaviks that remote-repair enemies, then Starving Damaviks that neutralise your capacitor, and then Tangling Damaviks that slow you with a stasis web. Their top speed is around 2700 m/s but they usually die before getting in range. 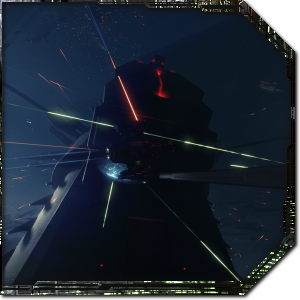 Vedmak – Triglavian Vedmak cruisers can spawn individually with support Damaviks or in groups of up to three, and they deal an absolutely insane amount of damage if you let them get in range (198 DPS each, increasing to 396 DPS each over 100 seconds). They use a very short range Entropic Disintegrator weapon that shuts off if you get over 22km from them, and the damage resets back to base levels. Microwarpdrive away from these and keep them over 22km away, and if they get in range because your ship is scrambled and webbed then focus fire the Vedmaks down with missiles and drones on the same target before their damage ramps up to lethal levels. 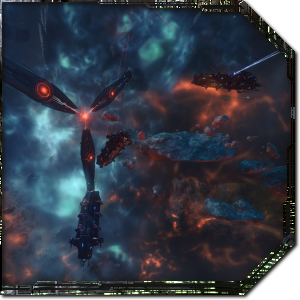 Leshak – Triglavian Leshak battleships spawn in all tiers of site, with just a single Leshak in Calm tier sites up to a ridiculous seven of them in Chaotic sites. These are absolutely terrifying, with decent tracking speed against this Gila and 123 DPS each that increases to a maximum of 356 DPS each over the course of 250 seconds. They spawn heavily pre-damaged so the strategy is to microwarpdrive straight at them and kill them as quickly as possible, prioritising any Renewing Leshaks first as they will repair the other Leshaks. 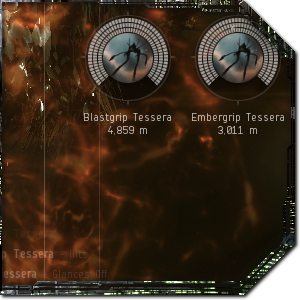 All Triglavian ships also have a small active tank and will repair over time, so a big Leshak spawn is a serious DPS race. 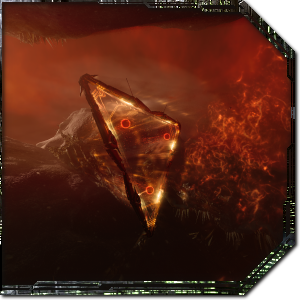 Vila Damavik / Vedmak – Sometimes a pack of Damaviks and Vedmaks will spawn with the “Vila” prefix and your overview will be flooded with dozens of scary looking drones. These drone-carrying Triglavian variants deal far less damage and are very easy to tank, so ignore the drones and just DPS down the ships as quickly as possible. Once the ships are destroyed, the drones they launched will become inert and stop attacking. You can also park near a Deviant Automata Suppressor structure and it will kill the drones for you, but the ships will just launch more of them. Karybdis Tyrannos – These Drifter Battleships are found on their own in lower tiers or with cruisers and frigates in the higher tiers. They spawn heavily pre-damaged but their shield will recharge slowly over time, and on higher tiers they have have both more shield and more damage. They have very poor tracking speed, so the strategy to deal with them is to microwarpdrive in close while killing the support ships and then orbit the battleship so it misses every shot. Watch the weapon graphic hitting your ship to see if it misses, and pulse the microwarpdrive to stay close enough to evade fire. If one spawns inside a giant blue gas cloud or next to a tracking pylon in a tier 5 site, it’s time to panic! Scylla Tyrannos – These Drifter cruisers spawn in packs of varying sizes depending on the tier, and the Type column on the overview will tell you what special effect they have. Drifter Nullwarp Cruisers have warp scramblers that will shut off your microwarpdrive if they get within 10km, making them your absolute top priority to kill in this Gila fit. Nullcharge are the next highest priority as they have energy neutralisers that will eventually shut off both your microwarpdrive and invulnerability field, followed by Entanglers that have stasis webs. These cruisers are all slow and easy to evade and keep outside 20km, and they’re easy to kill as they spawn pre-damaged. 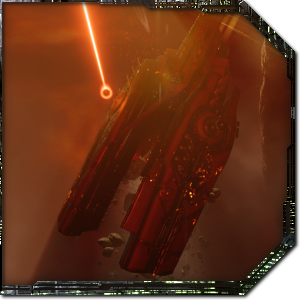 Abyssal Overmind – Abyssal Drone Overminds are highly damaging rogue drone battleships that use railguns to deal thermal and kinetic damage, from about 100 DPS on the lowest tier site up to 695 DPS on the top tier. They have extreme hitpoints and resistances that will take some time to chew through, but have poor tracking speed just like the Drifter battleships. The strategy for these ships is to microwarpdrive up close and get into orbit as quickly as possible while evading and killing all support ships, and then grind down the Abyssal Overlord itself. Orbiting at 500m with the microwarpdrive on is usually enough, or just pulse it to stay in close. 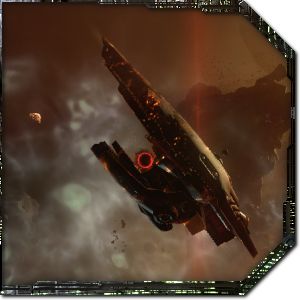 Grip Tessella – These Rogue Drone battlecruisers are always named after the damage type they deal, with Sparkgrip for EM, Strikegrip for kinetic, Embergrip for thermal and Blastgrip for explosive. They have optimal ranges of just 2km and are limited to 525m/s speed, so you can safely kite these out beyond 15km and they are no longer a threat. They deal high damage if you let them get in range, so they’re a significant problem if you get scrambled and webbed nearby. If they do happen to get close enough to start to deal significant damage, remember which resistance is your lowest and prioritise the ones dealing that type of damage first. 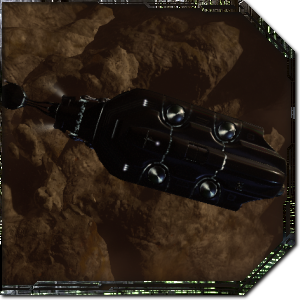 Lance/Needle Tessella – These Rogue Drone frigates use the same naming convention as the battlecruisers and deal significantly less damage, but they’re fast enough to get into range. You can avoid them by kiting for a while but they die very quickly to missiles or drones. 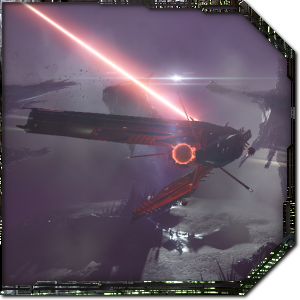 Deviant Automata Suppressor structures will deal damage to these ships over time, so you may find it useful to fly to one to speed up the pocket. These can also spawn with special abilities, such as the Snarecaster Tessella with a stasis web and the Plateforger and Fieldweaver Tessella logistics frigates that repair the other ships on the field, all of which should be regarded as high-priority targets. 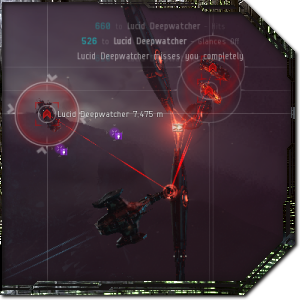 Lucid Deepwatcher – These Sleeper battleships spawn individually with support ships in low tier abyssals or in groups of 2 or 3 in higher tiers, and the only threat they pose is that they take a long time to kill and will use up your site timer. Microwarpdrive in close and then switch it off and orbit at 10km or so while focusing them down one at a time, remembering that they will remote repair each other. Never stop your ship while these are on the field as they fire cruise missiles that are devastating to stationary ships but deal very little to moving ones. As long as you keep moving even with no propulsion module online, these battleships deal almost no damage. 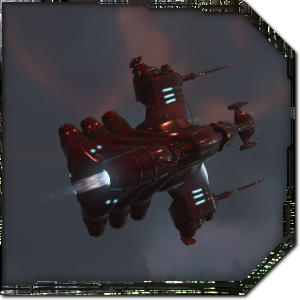 Ephialtes Cruisers – These Sleeper cruisers deal EM and thermal damage with their lasers and explosive and kinetic with missiles, but are easily avoided by kiting them over 20km away and keeping your transverse velocity high. The Ephialtes Spearfisher is highest priority to kill as it has a warp scrambler, followed by Dissipators with energy neutralisers and Entanglers with stasis webs. Spotlighters will target paint you and are higher priority if there is a battleship on the field, and Confusers will reduce your missile range. Most sleepers have remote repairers so it can be useful to focus drones and missiles on the same target. Lucid Frigates – These small Sleeper frigates are much faster than cruisers but can still be kited effectively as their top speed is under 2,000 m/s. They can also spawn with special abilities, with the highest priority targets being the stasis webbing Lucid Warden and the energy neutralising Lucid Firewatcher. Most of the Sleeper frigates have weak remote repairers, but they don’t generally interfere with the fight as you can kill them quickly enough to rapidly outpace any repairing. It’s often advisable to split fire on these, hitting one with your drones and another with your missiles, as they’re so weak that one could be dead by the time a volley of missiles arrives. Thank you for sharing your fit. I have been able to do tier 3’s before, but only with 1 minuet to spare. With your fit, I was able to do it with a good 6 to 7 minuets left. Not to sure about going higher then tier 3 yet. 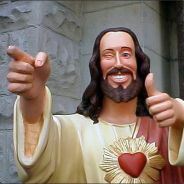 But either way, thank you so much for sharing your fit. As well as the article itself. – The first one I lost orbiting a drone overmind battleship at 500m pulsing the microwarpdrive when a blue 300% sig increase cloud drifted into the area (already killed the other support ships). I wasn’t able to get away in time. Normally this strategy works fine. – The second I lost to the large Leshak battleship spawn (all ‘striking’ versions) as even orbiting one at high transversal was suicide. I microwarped as far away as possible after nearly dying up close (~80k or so) which let me regenerate shields, but was also outside my drone control range with this fit (57k). Eventually they caught up to me and there was nowhere left to go that was outside their range. Any neut Leshaks will destroy your cap instantly if you get a mixed Leshak spawn. I’m pretty sure you’ll need more tank to deal with this spawn so you might need to replace one of the C3-X with a shield relay for tier 5s. I have near max drone skills (lvl 4 specialization on all races, lvl 5 drone interfacing) so the damage output is 925dps currently between some cheap implants and skills. I’m training gallente cruiser to lvl 5 to bring it up to 950dps total which is about what I get with my tengu. It does fantastic for Tier 4’s though. I usually kite (using keep at range 28km, missle range is 30k max using inferno fury’s) any neuting ships and kill any ‘anchoring’ or scrambling ships quickly. Overall I get a faster regenerating cap with this fit than the old tankier version with 2x shield relay. I also only run firestorm filaments due to their cheap cost so I always use inferno fury missles along with the thermal resist. 1) Straying into a blue cloud: You can actually prevent straying into a blue cloud when orbiting the battleship by manually piloting for a while and staying on the side with the cloud. The battleships always fly directly away from you, so you can use your positioning to force them away from clouds and tracking pylons. Even I’ve been caught out by this though, when a drifter battleship was on a tracking pylon and the only way to push him off was to go inside a blue cloud. It’s a rare set of circumstances, but it can happen. 2) The 7 Striking Leshak spawn: This has killed me too and is something of a rite of initiation for Abyssal Deadspace, but it IS survivable with this fit even in tier 5. The trick to it is literally speeding right past the pack of Leshaks and killing them ASAP, which will seem suicidal and terrifying but is definitely the right move. In a sense, you have to consider your damage as part of your tank for this spawn as killing them is the best form of damage mitigation. Their tracking is too high to reliably stay under their guns and their range is too high to kite, but they spawn extremely damaged and every Leshak killed is one you don’t have to tank. Swapping a damage mod for a relay may actually harm you against this spawn by making you kill them too slowly. 3) Damage output of 950 DPS: This is something I considered a lot when designing this build and deciding on implants, where the balance should fall between damage and defense. My current setup uses a CA-1, 2, 3, and 4, and a bunch of cheap 3% hardwirings for speed, shield recharge, shield HP, missile explosion radius, and missile rate of fire. This gives me 858 DPS with navy drones and fury missiles, and it feels like a good balance between damage and tank/evasion. I’m not sure I’d want to sacrifice the shield or speed implants for more damage, but that’s a call each person will have to make. 4) A quick note on filament types: You said you only run Firestorm due to the cheap cost and the fact that you can use Thermal missiles and drones for crazy damage. It’s a good idea, but remember that many of the enemies that are most important to kill quickly in Abyssal Deadspace have high armour and that the Sleeper ships all have remote armour repairers, so the armour HP bonus on firestorms works against you. They’re definitely good to do but the tier 5s can get a bit close on time, especially if you catch a few Deepwatcher spawns. Gamma and Exotic end up being faster and safer when you take that into account, but really this fit can handle everything except Dark. Well after losing my 3rd Gila with this fit I’m done with abyssal space lol. Tier 5 has very little margin for error and I’m not sure about rushing the Leshak spawn, especially when they have a neuting Leshak that destroys your cap instantly when you approach which leaves you dead in the water. I could see Gamma making it easier but they are pretty expensive and cut into the random profit margin. Rushing straight at the Leshaks is really the only option, even if they are neuting they won’t cap you out before you get in range to start dealing damage, and then you can focus fire on them until they’re down. But you’re right, there’s very little margin for error in tier 5 and especially in Firestorm because of the armour HP bonus that makes Leshaks take a LOT more time to kill. I would suggest blitzing tier 3s if you’re looking for profit/hr as the loot table still includes most of the expensive stuff like the skill books. If you want to tackle tier 4 and 5, sticking to Chaotic and Gamma will make it a lot safer and you can grind tier 3 sites to pick up t4/5 filaments rather than buying them off the market. First off, this guide is awesome, thank you so much for it! I’ve read through it probably 5 times, for anyone else looking at this pay very close attention to the fittings for each site type. Maybe I got unlucky but the first room of my first T5 site had nullwarp / nullcharge tyrannos spawns. The first room of my second T5 site had the mixed (3 neuting) 7 leshak spawns next to a blue cloud. I managed to survive both without losing shields, although they were dicey. I practiced on a lot of lower level sites first, working my way up. As mentioned, burn directly at the leshaks, overheat missiles, and take out the neuting leshaks immediately. I got neuted out almost immediately when in range, but they do little enough damage right off the bat to survive a bit, and they go down very fast if you start hitting them right away. Once the three neuting ones were down, I got cap back up and was able to tank the last 4. As mentioned in the write-up, the dps here really is your tank and you need to take them down FAST so I don’t think swapping out a C3-X for tank is a good idea. I got tired of seeing so many dark filaments so I decided to try one with a slight modification to the fitting… I removed one shield extender and the thermal amplifier and replaced them with two fed navy omnidirectional tracking links; one with an optimal range script and one unscripted. You take far less damage on dark sites so the loss of tank doesn’t seem to be a problem so far, although to be fair I’ve only run 3 T4 darks as of this writing and maybe I got lucky on spawns. In fact, they seem quite easy with this fit, although I don’t think I will run T5 darks because the extra range loss seems like it would be too much. Also due to the market being messed up, I am using a Gistum A-Type MWD (C-Types are more expensive now than B-Type probably due to this article even though B-Type is better in every way… heh) and Republic Fleet LSE’s since the Thukker’s were way overpriced. I’m also essentially max skills for this fit (except acceleration control 5) and I’m using the following implants: Mid-Grade Halo Alpha thru Delta, Low-Grade Halo Epsilon (because cost), EE-604, MP-703, EM-803, HS-903, and RL-1003. I’m also running with standard X-instinct (and pod swapping if I get bad effects) as well as DB5 for darks and SB7 for the rest. I mostly did the Halo set to counteract the fact that I’m using Republic fleet LSE’s instead of Thukker. Other than that I’m sticking exactly to this guide, which is fantastic. OH and also I’m using republic fleet valkyries for the dark sites since they have the highest base range. – Do you have the right clone? – Did you take your drugs? The C3-X are actually special combined drone & missile BCS from one of the recent events, they don’t boost drone damage as much as a DDA but very close to it and with the bonus of added missile damage. As a result, this fit comes out with greater total DPS than any DDA fit. EDIT: I’ve made an edit to the article to avoid this misunderstanding in future, as people may not know about the C3-X ballistic controls. Wow, really nice write up!